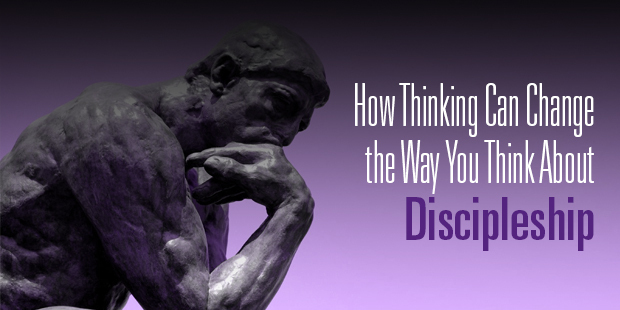 If you are a disciple-maker, you should want people to think like you. I realize that statement may come across as counter-cultural in our day. In our society, we praise non-conformity and consider expressing one’s own unique essence to be the purpose of life. To say you want people to think like you is to cramp their style and squelch their originality. It is “indoctrination” in the negative sense of the word, a way of rubber-stamping your identity onto someone else instead of letting their uniqueness shine through. But here, I’m afraid the non-conformist impulse in our culture clouds our vision so that we are unable to see a very important aspect of disciple-making. Followers of Jesus are to be transformed by the renewing of their minds, demonstrate the mind of Christ, and discern, with biblical wisdom and guided by the Spirit, what it means to live faithfully in the 21st century. It follows, then, that our responsibility to those we disciple includes an element of getting them to reason a certain way. Part of disciple-making is helping people understand what they believe. It includes the inculcation of information, the teaching of biblical facts and Christian doctrines. Another part of disciple-making is helping people adopt the practices that make up the Christian life. We walk alongside others, modeling for them what it looks like to live the way of Christ. But there’s a third part of disciple-making that is necessary, something a full-orbed vision of “imitation” gives us. This strand refers to helping people reason like Christians who have been formed by “what we believe” and “what we do.” The imitation of reasoning is especially needed on issues where clear instructions are not present in Scripture. If you only focus on the first two elements (informing and instructing), then you wind up with people who are not fully equipped to respond to the conundrums they encounter in life. 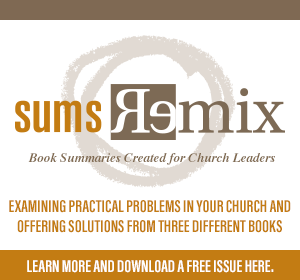 What does your disciple do when he or she confronts an issue that isn’t resolved by the checklist of doctrines to believe, or the common practices of the Christian life? Here is where your disciple needs biblical wisdom. The information of Bible doctrine and the instructions of Christian practice aren’t enough. Discernment is required. The believer must apply the wisdom of Scripture to a new situation and discern the way forward. When the Apostle Paul told the Corinthians to imitate him, he was not telling them to join him on his missionary journeys. The context for his command comes within a section of the letter in which he was applying biblical wisdom to a new situation. Apparently, one of Paul’s goals was to help his disciples reason the way he did. So, back to the statement I kicked off this article with: Disciple-makers should want their disciples to think the way they do. It’s not enough to hope that they will believe the same things, or behave the same way; we want to see them reason forward as Christians. Inculcating Christian doctrine and imitating Christian behavior only takes you so far. If that is all you strive for in discipleship, you may wind up with mindless mimicry instead of thoughtful imitation. Discipleship includes helping people learn the “mind of Christ” (Phil 2:5). The mind of Christ helps us to respond to new circumstances with the humility and wisdom of the Savior who indwells us by His Spirit. Imitation in the Christian life includes the cultivation of wisdom from within a biblical framework, wisdom that leads to the right decisions when the circumstances are difficult. Passing on the capability of wise reflection is an important aspect of discipleship. Ignoring this responsibility is disastrous for the future of the church. > Read more from Trevin. Learn more about disciple-making. Connect with an Auxano Navigator and start a conversation with our team. My name is Trevin Wax. I am a follower of Jesus Christ. My wife is Corina, and we have two children: Timothy (7) and Julia (3). 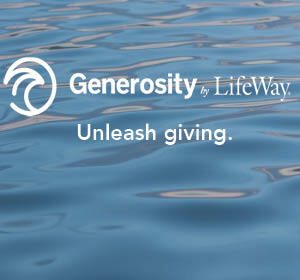 Currently, I serve the church by working at LifeWay Christian Resources as managing editor of The Gospel Project, a gospel-centered small group curriculum for all ages that focuses on the grand narrative of Scripture. I have been blogging regularly at Kingdom People since October 2006. I frequently contribute articles to other publications, such as Christianity Today. I also enjoy traveling and speaking at different churches and conferences. My first book, Holy Subversion: Allegiance to Christ in an Age of Rivals, was published by Crossway Books in January 2010. (Click here for excerpts and more information.) My second book, Counterfeit Gospels: Rediscovering the Good News in a World of False Hope(Moody Publishers) was released in April 2011.